Beautiful creations, Charbel. Five deserved stars for your 13 pots. Welcome to Lcp !!!!! Thank you sincerely for the visit and the kind comments, Charbel. You had free time to check my pages and I am very happy. I saw your latest 2 pots and gave them 5 too. Have a nice Sunday. Hi Charbel, 5⭐️x2 newest beautiful creations. 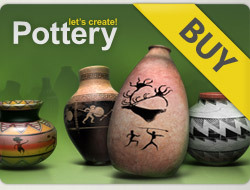 I hope you will rate some of my pots too. Have a nice weekend. thank you for your support dear charbel.. Thank you för visiting my gallery. Thanks for visiting my gallery! New pots every day! I enjoyed your gallery as well, nice work!